The pav bhaji vendors will be having their sauce separate and the vegetables will be kept separate as they add the ingredients accordingly as per the taste of customers - like some customers want their vegetables to be chunky and some totally mashed, some want spicy and some say they don’t want potato or bell pepper, so the vendor prepares accordingly. As soon as I say mashing the vegetables, only one thing come to my mind is taka tak. Taka tak means mashing the vegetables and the sauce together with a spatula on the big pan or tava, they will be holding one spatula or 2 and will be doing taka tak – taka tak on the vegetables, until it is mashed and mixed well with the sauce. 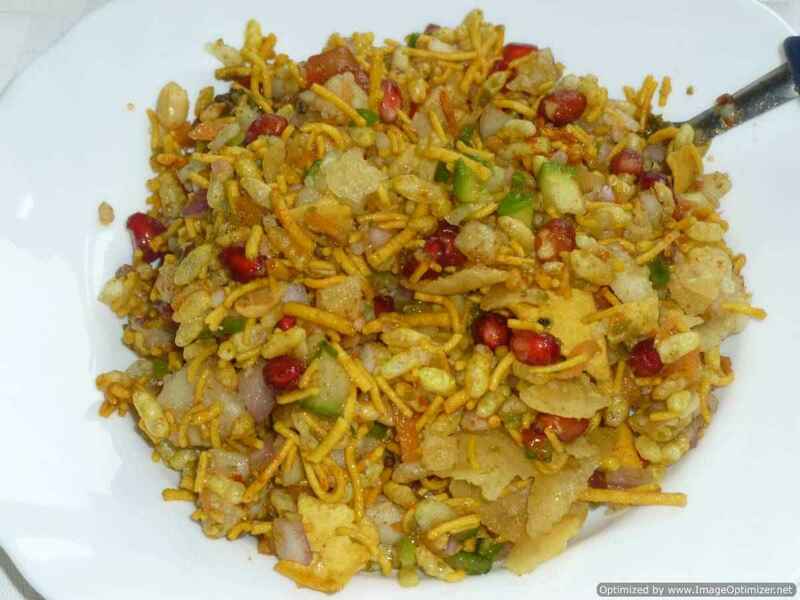 I love to see that taka tak of vegetables by street pav bhaji vendors. Pav bhaji is a one pot meal, can be eaten anytime you like in lunch, as a snack or as a brunch. I have used red capsicum and tomatoes to give that bright colour for my bhaji, apart from store bought pav bhaji masala . I have used oil and butter for cooking the sauce, and later added more butter in the sauce. Pav bhaji masala is usually made with butter and served with a dollop of butter on top of the bhaji. I enjoy my pav bhaji masala to be spicy with a drizzle of lime juice and a sprinkle of chopped onion on it. Boil or steam the vegetables - potatoes, carrots, cauliflower and peas (I have pressure cooked with 1 cup water). Keep it aside. Strain the water and keep it reserved. Mash the vegetables with the masher and keep it aside. Chop capsicum (any bell pepper colour) into tiny bits for adding into the sauce. 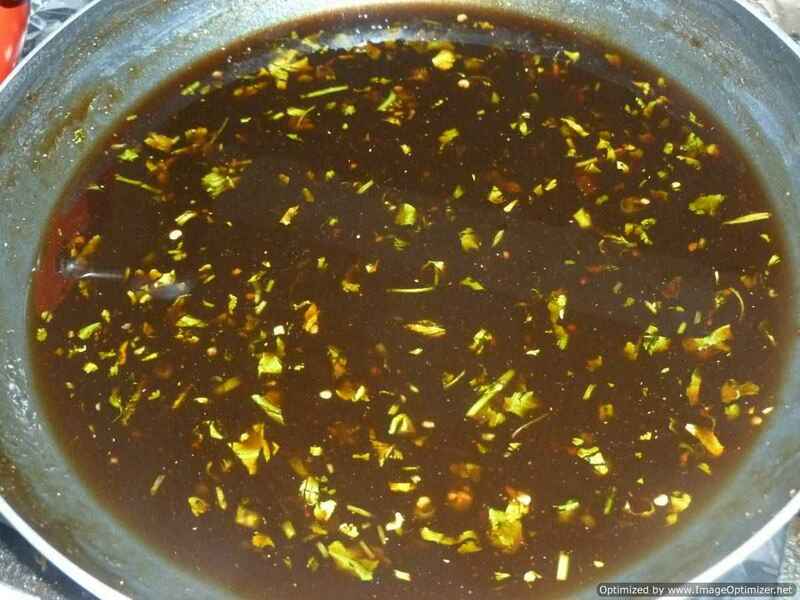 Heat oil in a vessel or pan, add cumin seeds and let it sizzle. Add onions and saute for a few mins until it is light brown in colour and translucent. Add ginger and garlic paste, stir for about 2 mins on a medium flame. Add tomatoes and red capsicum (bell pepper) and cook for about 4 mins. Add pav bhaji masala and chilli powder, sauté for about 5 mins on a medium flame (you can add a little water to avoid the spices from burning). Add 1/2 cup water and cook until all the water is absorbed, tomatoes are soft and blended well with the onion. This will take about 10 to 12 mins with the lid closed and cooked on a low flame. Stir in between to avoid the mixture to stick to the bottom and burn. Switch the heat off. Allow it to cool and grind to a smooth paste for the basic sauce. Take a wide pan, put it on low flame. Add 1 tbsp oil and 2 tbsp butter and when hot, add 1 tsp pav bhaji masala, 1 tbsp coriander leaves and let it sizzle on a low flame for a few seconds. Do not burn it. Add the ground basic sauce, mix well. Add the mashed vegetables, mix well. Keep the flame low, as it can splutter on you. Add 2 tbsp pav bhaji masala, 1/3 cup coriander leaves, colour, 1 tbsp kasoori methi, 1 1/2 tsp black salt, salt to taste, 3 tbsp lemon juice, 2 tbsp butter and mix well (also mash well). Cook on a medium to low flame for about 5 to 8 mins. Stir in between. Add chopped bell peppers and mix well. Simmer for about 25 to 30 mins with the lid closed. Switch the heat off. The colour changes to a more reddish colour - exactly like the pav bhaji masala you see from the street vendors. In the end, add 1tbsp butter (optional) and serve or transfer to a serving bowl with a dollop of butter on top. Halve the pavs or slice horizontally and keep aside. Heat a large pan or tava, add 2 tsp butter and let it melt. Place the open pavs on the butter, so that it can absorb all the butter. If you want masala pav, as I have shown in the picture, add a pinch of kasoori methi, a little pinch of chilli powder or pav bhaji masala, let it sizzle, then place the pavs on the hot melted butter. The pav can absorb butter and the spices get nicely stuck to the pav enhancing its flavour. Cook on both sides by adding more butter if required (optional), until they are light brown and crisp on both sides or as per your taste and how crispy you want your pav to be. Remove and serve immediately with the pav bhaji masala. 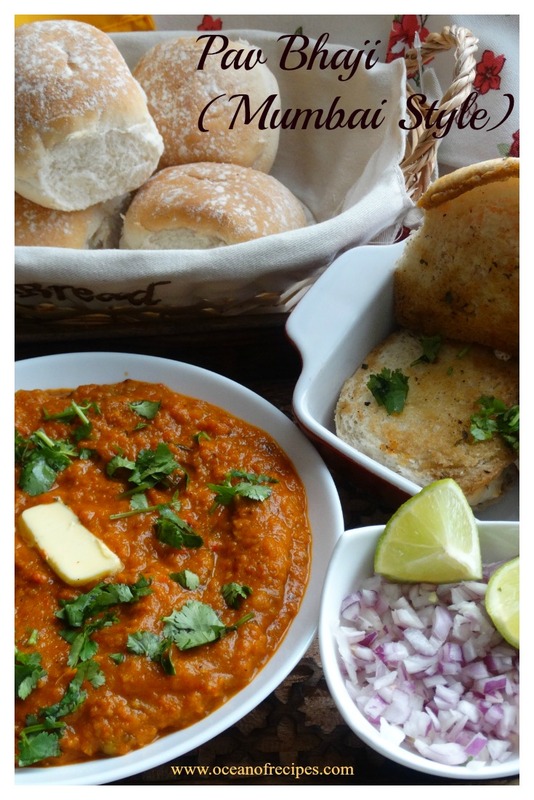 The pav bhaji masala is topped with a dollop of butter, a generous sprinkle of chopped onion, a good squeeze of lemon and is served with crispy pan fried pavs. 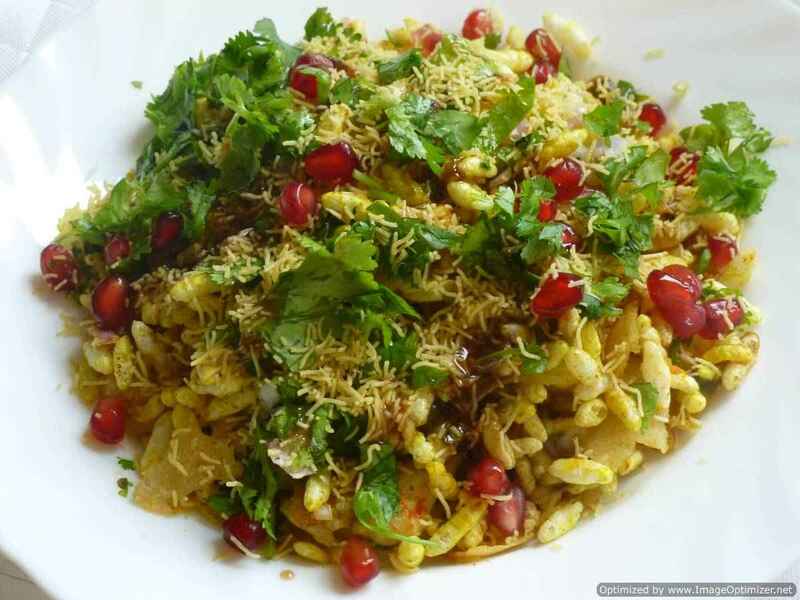 Red capsicum is a must for the colour and the sweetness it adds to the bhaji. You can add more vegetables in the sauce as per your taste and liking. You can mash the vegetables as you like - chunky and completely mashed. Instead of water, use the stock reserved from boiling the vegetables. You can also use the water, which was used to clear up the ground paste from the grinder. If the consistency of the sauce turns out to be thin and has more liquid, cook on medium to low flame without closing the lid until it thickens. Keep stirring the sauce with vegetables. Instead of pav, you can use baps, buns, bread or dinner rolls. With the remaining or left over pav bhaji masala, you can prepare some other dishes as well - like stuffed paratha, stuffed capsicum, vegetable cutlets, stuffed chilli tempuras (bajji or pakora) sandwich, tomato stuffing, samosa stuffing, wrap it in a tortilla or chapathi. It should be bit dry for these, but you can keep it in the fridge and the masala will become dry the next day. I also made some special chatpata masala dosa with the left over pav bhaji masala.